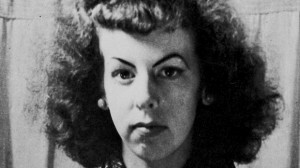 Interview With Director of Film Documentary on Rosaleen Norton – Zero Equals Two! Here’s a newly posted feature on artist Rosaleen Norton, aka “The Witch of King’s Cross,” including an interview with Sonia Bible who’s been working on a documentary of her life for the past four years. Norton’s work was included in the recent “Language of The Birds” exhibit of occult themed art currently showing at NYU in NYC.